WHO CAN JOIN OUR TOURS ? Sight Seeing is suitable for any ages. Fun Activities are suitable for ages 5 – 70 y.o depend on the conditions of the body. Casual cloth or T Shirt is recommended. Don’t forget to bring change of clothes for wet tours. Family Up to 2 adults and 2 children/infants. 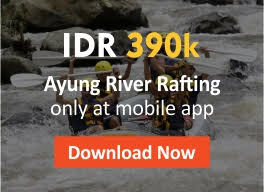 FUN ACTIVITIES AND ADVENTURE TOURS EQUIPMENT ? All the equipment are based on International Safety Standard. We strongly recommend you book in advance, especially during peak periods, such as school holidays. Majority prices are quoted in Indonesian Rupiah (IDR or Rp.) and some in other currency . We have to collect 50% (except dolphin swim tour) of the total purchase to confirm and prepare all the best tours equipment, the rest can be paid on the first meeting. An additional surcharge is applied for payment using credit card. Bali Sun Tours reserve the right to cancel tours caused by weather conditions, a full refund will be received by the clients. Refund will be honored if cancellation made at latest 2 days in advance to the date of the tour, only 10% administration fee will be charged. Cancel made less than 2 days to the tour date. WHO OPERATE THE TOURS ? The client is urged to protect his/her investment with travel insurance.